The popularity of MODs, PVs and refillable tank atomizers is at all an all-time high. As a result, rebuildable atomizers (RBAs) and rebuildable tank atomizers (RTAs) have become increasingly popular as well, allowing frequent users to save money by building and refilling their own PVs. Since users are adjusting high voltage batteries and high voltage box MODs, we wanted to remind users to take the proper precaution when building their coils. First, purchase a Rechargeable Voltage & Ohm Meter. 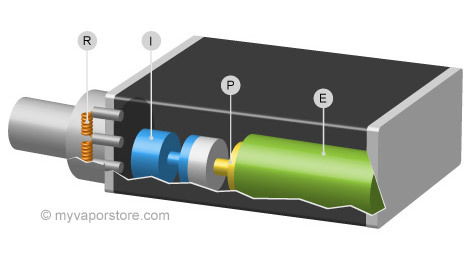 This device allows you to check the resistance of atomizers and the voltage of your batteries. When users know the resistance (Ω), the level of safety of a homemade atomizer is simple. Since the type of batteries used in box MODs are typically 18650 series, users can figure out the resistance of the coil and determine the amps the coil will pull from the battery. Users can calculate the resistance by using volts for mechanical MODs (4.2v for typical 18650 fully charged) or watts for box MODs. To further ensure a higher level of safety for vapers to assemble their personal vaporizers, without doing any math or calculations, we've provided the following Vape Ohm’s Law Calculator to help with the calculation. Enter Any Two Variables In The Respective Boxes. If the AMPS are higher than what your battery is rated for, adjust either Ohms on your custom coil or wattage output on your box MOD.